Americarpet: A few thoughts on commercial carpet tile. A few thoughts on commercial carpet tile. As many of us already know, wall-to-wall carpets are easily dirtied and can be a pain to clean and install. However, a multitude of businesses and interior decorators have been turning their preferences from wall-to-wall carpeting to carpet tiles. A typical carpet tile is a square piece of carpet that is usually around 24” but rarely in 21” square feet but it varies. These carpet tiles are stuck down to the floor with much ease! 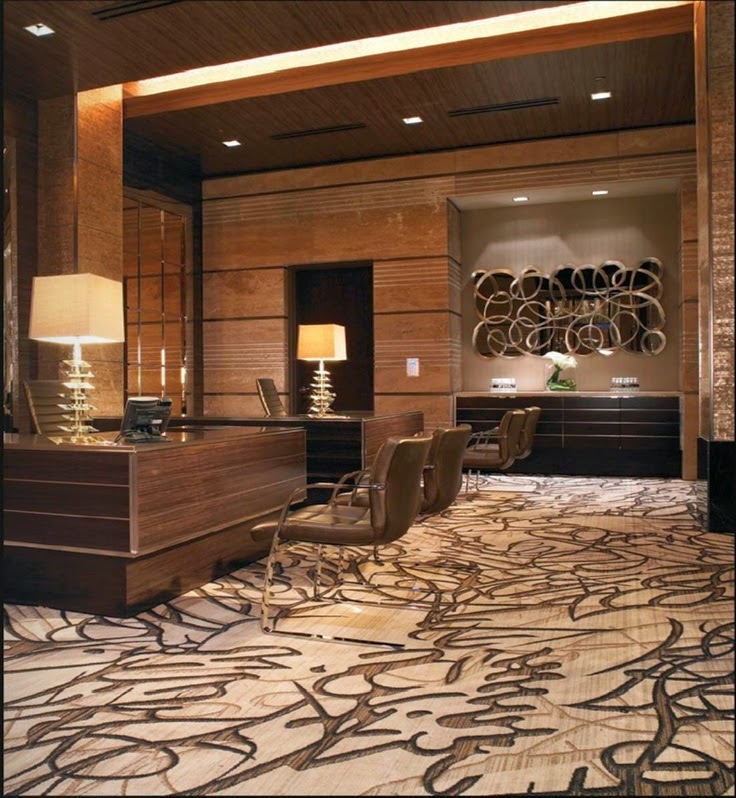 They have a similar feel to broadloom but they’re much more versatile. Carpet tiles are available in an array of colors, styles and materials which can be installed in any way you want! The biggest advantage that carpet tiles have over regular wall-to-wall carpeting is that individual tiles can be removed and replaced should they get badly stained or damaged. Unlike large carpets where stains can set and be difficult to remove, an individual carpet tile can be replaced with very little effort or expense. They're also made with renewable and recycled materials. They are also easy to clean, especially nylon. One of the major advantages to carpet tiles is its flexibility. Should you decide that you want to remove it or just replace a few tiles, or the entire floor- it’s extremely easy to do so! For example, should a nasty stain set itself into a carpet tile, you can simply remove and replace that specific tile! Unlike wall-to-wall carpet where it can be very difficult to remove a stain and unfortunately in many cases, you’re stuck with a smudge. Overall, carpet tiles make an ease of your commercial flooring needs and add so much more versatility that a wall-to-wall commercial carpeting. Nothing else on the market compares to its ease of installation and cleaning. Prices vary from $1.65 per sq ft. to $4.95 per sq ft. depending on the carpet tile design and carpet fibers. A few thoughts on hosting an unforgettable party!